These promotional renderings were created for publishing in magazines or to be used in advertising material. 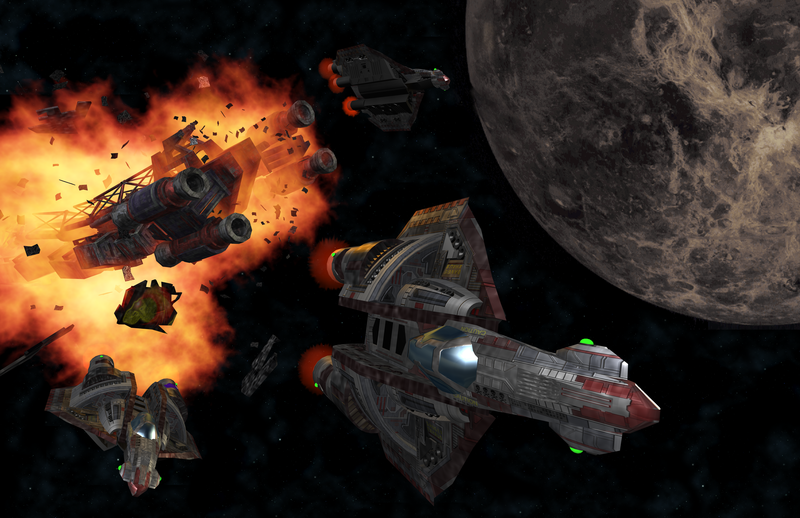 Respectively: a Fury-class fighter, the commodity center on Augustus and an intense combat scene. These ads appeared in a variety of places throughout the XBox dashboard over the summer. 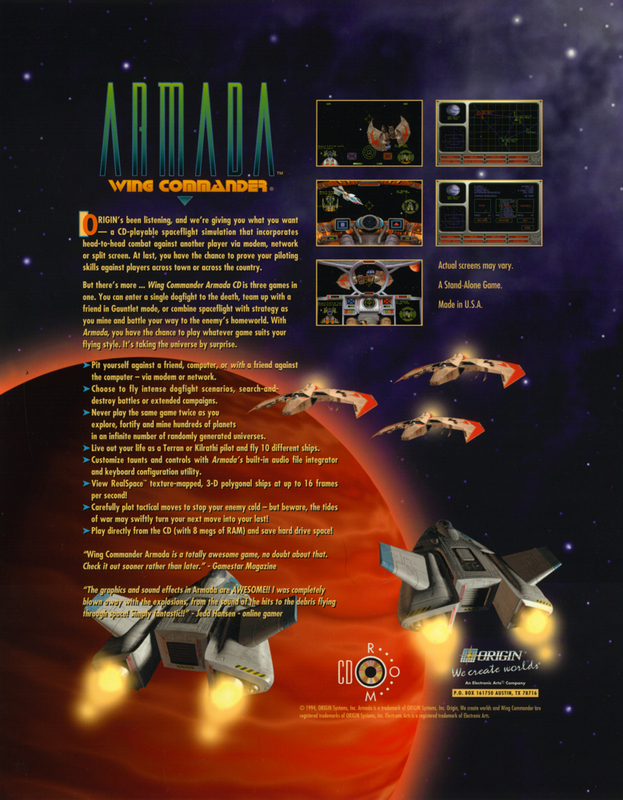 The campaign highlighted the fact that Arena was Live Arcade's first 16-player game. The art is very similar, though not identical, to some of the renders featured online. 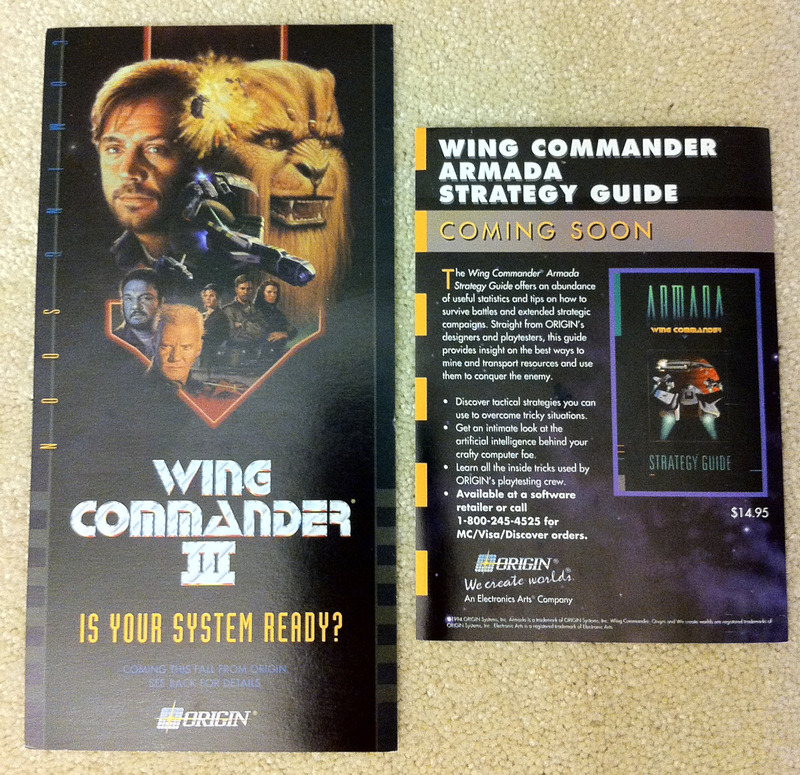 Did you get a random Wing Commander CCG card in your copy of Wing Commander IV and wonder: what the hell is that? In an oddly unexplained promotion, a random card was inserted into roughly one in ten copies of the game. Unfortunately there was no explanation or promotion attached, so it seemed to most that their game just had a small picture of a torpedo or a nav point for some reason. 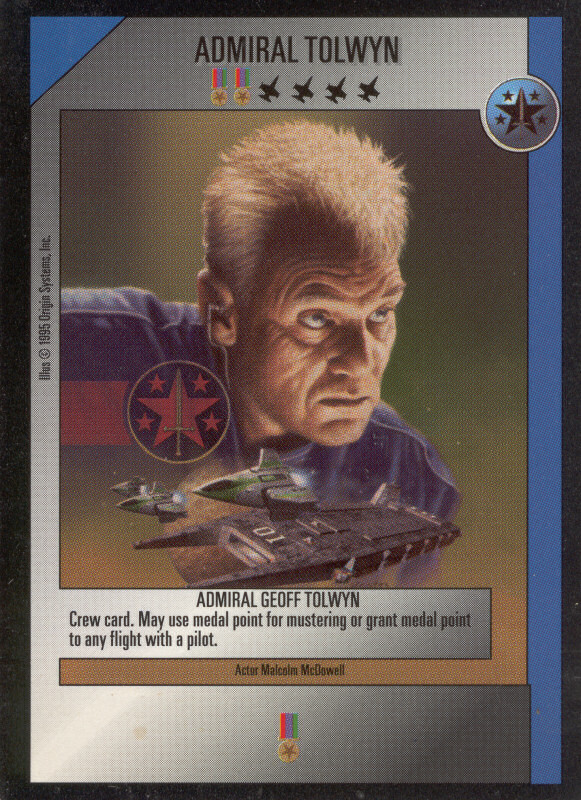 Rarer still, was this special card -- a unique promotional card of Admiral Tolwyn not included in the regular set. 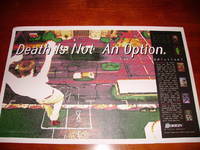 These appeared in about 1 in 100 copies of the game's first pressing. Luckily, the kind people at Mag Force 7 were happy to give out more copies upon request at the time. Very cool art, too! 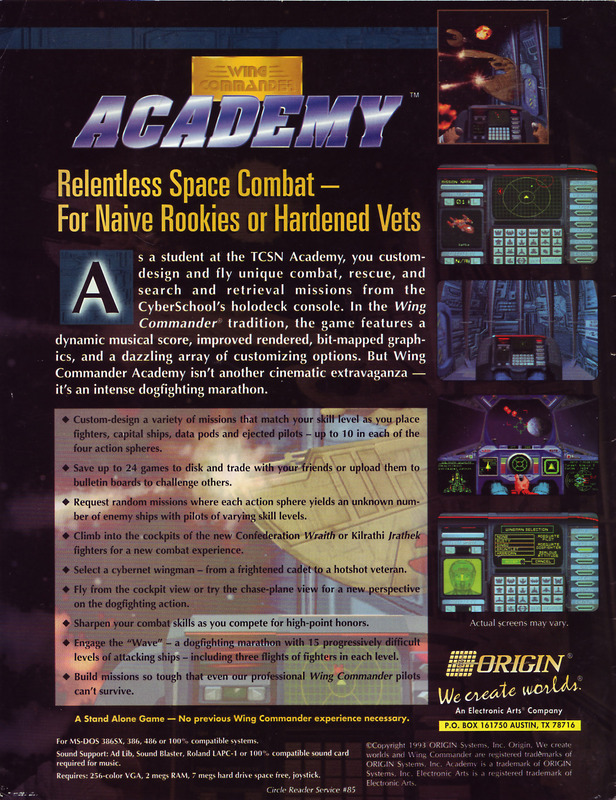 This full spread for Academy has some temporary art in the form of a Morningstar schematic on the Wraith's left VDU. The Wingmen are also different from what made it to the final game. Rusty, Dingo, Gauntlet and Harridan were eventually replaced by Maniac, Hobbes, Angel and Lightspeed. The artwork for this full page ad features the familiar Arrow, but only in this scene do they face off against a trio of heavy Gorans. Placeholder text seems to exist instead of mine, shipyard and fortress images, and the final look of the strategic map was tweaked slightly before release. Largely identical to the advertisement for the floppy version, but some textual differences. Play directly from the CD to conserve hard drive space, but only if you have 8 megs of RAM! 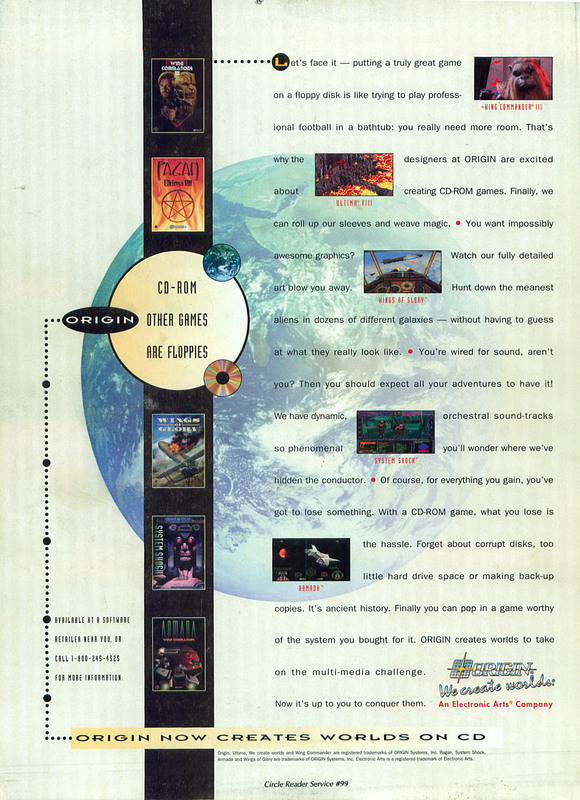 An advertisement for Origin's CD-Rom catalog. Part of 1995s 'interactive movie' push, which included System Shock, Ultima VIII, Wings of Glory, Wing Commander III and Wing Commander Armada. "Hunt down the meanest aliens in dozens of different galaxies -- without having to guess what they really look like." Another advertisement for Origin's CD-Rom catalog. 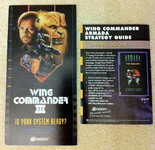 Part of 1995s 'interactive movie' push, which included System Shock, Ultima VIII, Wings of Glory, Wing Commander III and Wing Commander Armada. "Prepare Yourself and Your Shelves." Another advertisement for Origin's CD-Rom catalog. 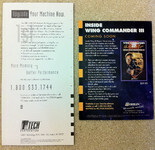 Part of 1995s 'interactive movie' push, which included System Shock, Ultima VIII, Wings of Glory, Wing Commander III and Wing Commander Armada. 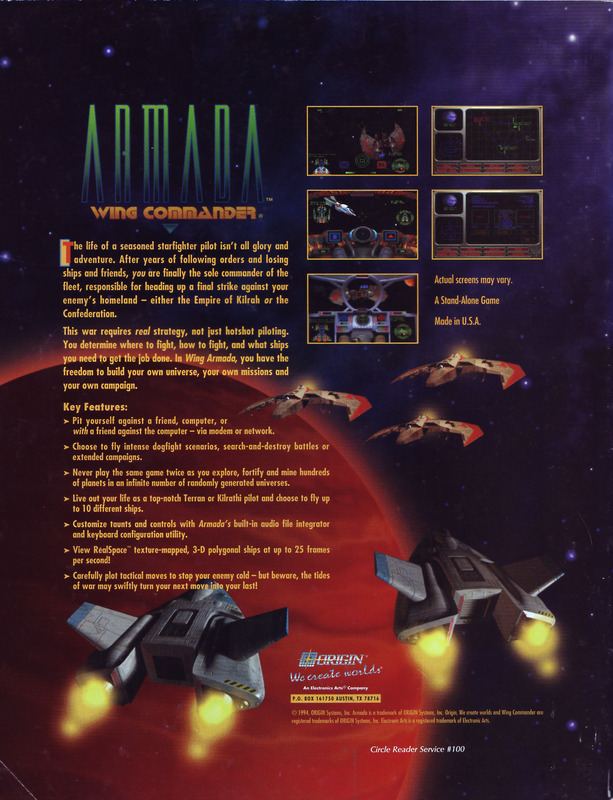 A preview card for the Armada Strategy Guide (ultimately released as the Playtesters' Guide). 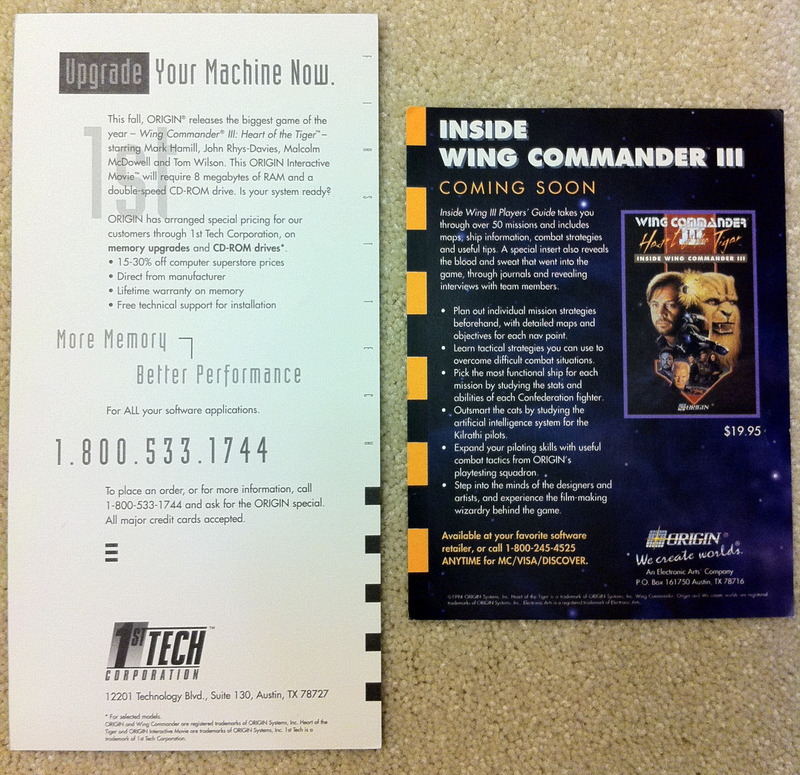 The back of the card contains a WC3 guide advertisement.